MSc Water: Science and Governance is a one year taught programme that explores the environmental, socio-economic and political aspects of water allocation and management. Drawing on the university’s leading reputation in water research, students are equipped with advanced interdisciplinary training to tackle the contemporary challenges of diverse water environments around the world. The Department of Geography has a critical mass of nine staff devoted to research on multi-disciplinary aspects of water resources and their governance. Students will benefit from lectures and seminars informed by cutting-edge research, including those by 2008 Stockholm Water Prize laureate, Professor Tony Allan. The breadth of expertise and international experience of staff will provide unique dissertation opportunities. London is a hub for international water policy discussions and academia, and the programme takes full advantage of the location. Compulsory and optional modules feature guest sessions with leading scientists and professionals, allowing for exchange of ideas between the research and practitioner communities. The city also offers excellent opportunities for professional networking. Upon graduation, students have developed careers in governmental agencies, utility companies, environmental consultancies and NGOs, or have continued their research career with a PhD. The programme is available part-time and mature students are particularly encouraged to apply. MSc Aquatic Resources Management is a long-established MSc taught by Environmental Scientists drawn from the Department of Geography and the School of Medicine, King’s College London and from the University Marine Biological Station at Millport, Scotland. The one year programme aims to produce scientists of the highest calibre capable of addressing priority water resource issues needing interdisciplinary solutions. • Gaining Perspective, Marine Spatial Planning in the OSPAR Convention Maritime Area. • Water Framework Directive compliance assessments: the state of play today. This vocational programme has a strong record in placing students in relevant careers, and over the last five years over 90% of graduates have gone on to work in fields directly related to aquatic resource management: Environment Agency and government departments (38%), consultancy (25%), university research (15%), water utilities (11%), aquatic-related NGOs (6%) and research organisations (5%). 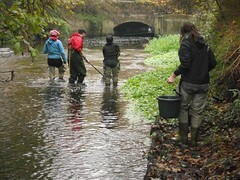 This programme provides in-depth fundamental and applied training in the science and management of freshwater environments from uplands and hillslopes through floodplain and river networks to estuaries, to produce scientists able to use the knowledge and skills acquired to enter direct employment or research for a higher degree in the broad field of freshwater environments and their management. The programme aims to produce scientists of the highest calibre capable of addressing priority freshwater resource and sustainable management issues needing interdisciplinary solutions. Taught by experts in the School of Geography and the School of Biological and Chemical Sciences, with contributions from industry practitioners. 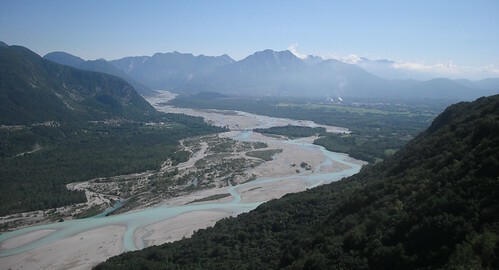 Compulsory field course located at our research site on the dynamic, near-natural Tagliamento River in Italy. Laboratory-based aspects programme are taught within the Centre for Aquatic and Terrestrial Environments (CATE) with access to ‘state of the art’ analytical facilities developed from an initial investment by SRIF of £3 million. The programme has an advisory board comprising members with experience in water resource management in both the public and private sector (including government agencies and environmental consultancy). Contact with practitioners from public and private sector organisations through guest lectures, seminars and the independent research project. Opportunities for undertaking independent research project in collaboration with an industrial partner organisation. 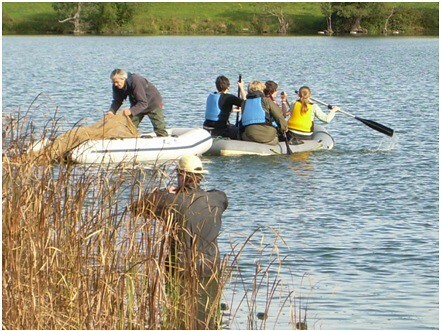 Examples from previous projects: Atkins Global, Wessex Water, Environment Agency. Development of appropriate core and specialist scientific and technical knowledge and skills to support a career in the water industry or in freshwater science research. For direct employment in water management, the programme emphasises the information needs for policy and decision making and provides for a close interface with scientists active in this area through visiting lecturers, industrial visits and project placements within the water industry. For PhD aspirants, the range of internal and visiting expert contributors provide an awareness of current and emerging issues and there is opportunity to develop further research skills through an individual research project rather than an industrial placement. MSc Water: Science and Governance is a one year taught programme provides a unique opportunity to engage in both social and environmental science perspectives on water, drawing on the university’s leading reputation in water research. The programme explores the socio-economic, political and environmental aspects of water allocation and management, equipping students with an advanced understanding of the contemporary challenges of diverse water environments around the world. The Department of Geography has a strong teaching team with a range of international experience and multi-disciplinary expertise, feeding cutting-edge research into lectures and seminars. Students will have a chance to participate in lectures by the 2008 Stockholm Water Prize laureate, Professor Tony Allan. London is a hub for international water policy discussions and academia, and the programme takes full advantage of the location. 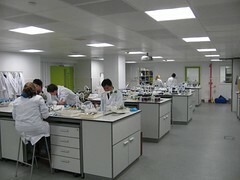 Compulsory and optional modules feature guest sessions with leading scientists and professionals, allowing for exchange of ideas between the research and practitioner communities. The city also offers excellent opportunities for professional networking. Upon graduation, students have developed careers in governmental departments, utility companies, environmental consultancies and NGOs, or have continued their research career with a PhD. The programme is available part-time and mature students are particularly encouraged to apply. • In conjunction with the E.A. and local stakeholders, identify knowledge gaps which can make an effective contribution to achieving “good ecological status” within the Thames River Basin District. • Map the research community around the Thames River Basin District in order to ascertain which scientists may be able to contribute to the resolution of these knowledge gaps. • Run a series of workshops to address specific knowledge gaps. • Develop a web-portal with a searchable database to allow local stakeholders to identify expertise and scientists to identify research project partners. • Establish networking community (forum) on the web portal where stakeholders may post questions or requests for collaboration and scientists may search for research project partners. Contributions are invited for a book based on the Advances in River Science 2011 workshop. See riverscience.wikidot.com/workshop-volume for futher details. 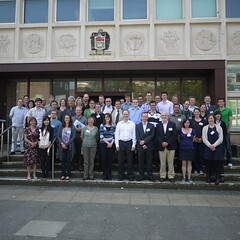 Over 70 academics, consultants, public and third sector workers from around the world met at Swansea University in April for the inaugural Advances in River Science workshop. The UK Flood Risk Management Research Consortium-sponsored event was directed towards advancing integrated river and flood risk management, focusing on the role of sediment, habitats and morphology in increasingly complex, dynamic and natural-human hybrid river environments. The workshop aimed to demonstrate best practice from around the world in a series of key themed areas, and to provide a forum for early-career researchers and practitioners to discuss ideas and approaches with established international leaders in their respective fields. After being welcomed to Swansea on the Monday morning by Ian Cluckie (Pro-Vice-Chancellor for Science and Engineering and Chair of the Flood Risk Management Research Consortium), delegates watched keynote presentations by a diverse range of speakers including David Maidment (Texas at Austin), Robert Gurney (Reading), David Gilvear (Stirling), Paul Bates (Bristol), Nigel Wright (Leeds), Gary Brierley (Auckland), Angela Gurnell (Queen Mary) and Colin Thorne (Nottingham). The day closed with a lively series of short poster presentations and a welcome drinks reception. The next day consisted of science presentations related to the workshop’s key themes of “Virtual catchments and data”, “River and catchment appraisal, typology and reconnaissance”, “Altered morphodynamics” and “Challenges to integrated management”. The sessions were expertly chaired and responded to by Heye Bogena (Forschungszentrum Jülich), John Nestler (Iowa), Hervé Piegay (CNRS/ENS-Lyon) and Maminul Sarker (CEGIS). These were followed on Wednesday by a field trip to the nearby Taff catchment. Delegates enjoyed the glorious sunshine and scenery of the Brecon Beacons while debating methods of assessing catchment-scale sediment dynamics and other local river management issues. The day closed with a meal back at Swansea University that included a fitting tribute to the late Stan Schumm by Nick Clifford (King’s College) and an excellent after-dinner speech by Geoff Petts (Westminster). The workshop closed with presentations from representatives of various stakeholder and practitioner groups including SEPA, the River Restoration Centre, industrial consultants and Living With Environmental Change, and an excellent plenary session designed to draw out the key outcomes of the meeting and research challenges for the future. 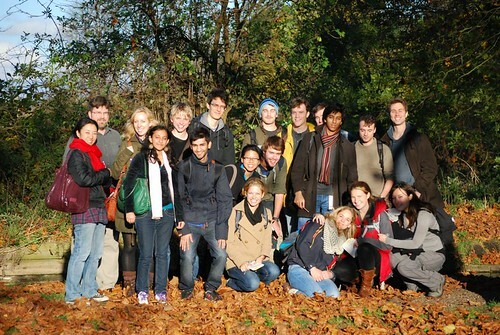 This programme – taught by experts in the School of Geography and the School of Biological and Chemical Sciences, with contributions from industry practitioners - aims to provide in-depth fundamental and applied training in the science and management of freshwater environments from uplands and hillslopes through floodplain and river networks to estuaries, and to produce scientists able to use the knowledge and skills acquired to enter direct employment or research for a higher degree in the broad field of freshwater environments and their management. The programme is taught within the Centre for Aquatic and Terrestrial Environments (CATE) with access to ‘state of the art’ analytical facilities developed from an initial investment by SRIF of £3 million. The programme aims to produce scientists of the highest calibre capable of addressing priority freshwater resource and sustainable management issues needing interdisciplinary solutions. Deadline for applications: January 31, 2011. SMART is a 3-year Joint PhD programme offered in the framework of the Erasmus Mundus action by the University of Trento (Italy), Queen Mary, University of London (UK) and the Free University of Berlin (Germany), together with 12 associate partners in 8 different countries and 4 continents, encompassing research centres, private companies and governmental agencies. Research is multidisciplinary and based at a principal institution with mandatory mobility to a second Consortium partner and one Associate partner. It focuses on the core areas of natural and engineering sciences relevant to the sustainable management of river systems from their headwaters to estuaries, including moprhodynamics, hydrology, biogeochemistry, geomorphology, biology and ecology. Admission is on a selective basis; the best candidates will be assigned attractive EU fellowships. 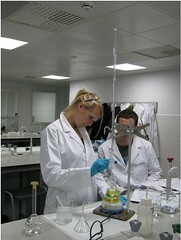 Successful completion of the PhD programme will result in award of a joint or double Doctoral Degree in River Science. Nick Clifford has accepted an invitation to become President of the British Science Association Geography Section for a year from 2010-11. The 2011 British Science Association Festival will take place at the University of Bradford 10-15 September 2011, where Jocelyn Bell Burnell has chosen Exploring new worlds as her overarching theme and giving her own presidential address entitled 'Science and culture: science as culture'. Geography’s contribution is planned along the following lines: 'Exploring new worlds. Changing technologies of environmental observation, and models of environment – society interaction: new frontiers in geographical exploration and the geographical imagination'. See the British Association for Science website for further details, or contact Nick Clifford if you would like to participate.